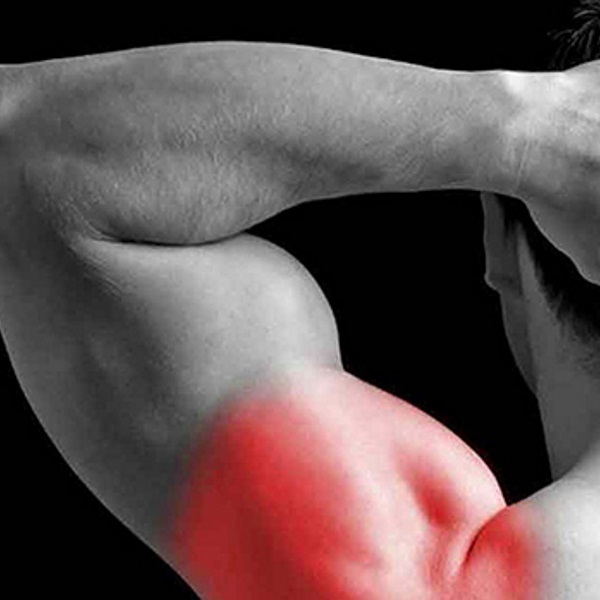 Lifters face common injuries, and there’s no one best treatment method for all of them. It really depends on the problem you’re facing and its root cause. What you need is a toolbox of treatment techniques to choose from, then it’ll be up to you to find a practitioner in your area. Once you’ve found the right treatment, you’ll get great results with relatively few sessions. If you don’t see significant improvement from two or three treatments, then it’s probably not the correct method to solve your problem. Try something else. Here are five common problems and the best techniques to treat them. This cause of pain includes things like scar tissue and restricted fascia. The fascia form a web of connective tissue that runs throughout your body, joining everything from your head to your toes. If one area of fascia gets stuck, the other areas have to stretch excessively to compensate. This abnormal stretching pulls on joints in all kinds of ways they aren’t meant to be pulled. This leads to joint pain, increased wear and tear, and reduced flexibility. For people who have sedentary jobs and/or bad posture, this can arise from lack of movement. For lifters, it can arise from injuries or from always performing exercises in shortened ranges of motion. Imagine your healthy fascia as tissue forming up in neat rows. These neat rows allow nutrients and oxygen to reach the tissues. They also slide neatly over one another as your muscles contract and your body moves as it should. But any unhealthy scar tissue you might have is formed like a jumbled mess that can’t move properly or slide smoothly against other tissues. Scar tissue feels tense when touched and is usually more tender than surrounding areas. That’s because scar tissue has reduced blood flow and thus reduced oxygen. Under these low oxygen conditions, nerves get overly sensitive and tender. Also, at the genetic level of cell reproduction, there’s a tendency to reproduce even more scar tissue in these low-oxygen areas. So, scar tissue creates conditions where even more scar tissue can form. You need to break this vicious cycle. The treatments that work well for these situations all work on breaking up the areas in which scar tissue has formed. If you combine these methods with basic static stretching and full range-of-motion exercise, you should be able to realign the scar tissue back to normal. Deep tissue treatments like Active Release Techniques (ART) are great solutions for soft tissue problems. These methods use the therapist’s manual pressure along with your own movement to break up areas of scar tissue. If the problem is serious, this will be pretty uncomfortable! But when it works, you’ll get instantly improved range of motion and reduced pain. Another tool that can help is the Fascial Abrasion Tool (FAT). It’s like a “light” version of ART and deep tissue massage. The good thing is that once you have the tool, you can perform some treatment safely even on your own. The limitation is that you won’t be able to do it on parts of your body you can’t reach. Dry needling can reach parts of your body that are difficult or impossible to reach with fingers or massage tools. Dry needling uses the same needles as an acupuncturist, but the aim is to increase blood flow, not to hit acupuncture points. In the photo I’m using needles to increase blood flow in an athlete’s tight vastus lateralis muscle. The needles increase blood flow to the affected area of scar tissue. They’ve been shown to do this through the release of nitrogen dioxide (NO2), which increases vasodilation, as well as through the release of calcitonin gene-related peptide, which increases circulation. The needles also help muscles relax and block pain receptors. All these factors break the vicious cycle of low oxygen and discourage further scar tissue formation. Trigger points are not only tender to the touch, they often refer pain to completely different areas of your body. Lifters often have trigger points in the infraspinatus muscle. This is located on your shoulder blade, but it refers pain to your shoulder joint and down your arm when the trigger points in it are acting up. Dry Needling. A good dry needling practitioner will be able to hit your trigger points with the needles. This is one of the fastest ways to deactivate them. Trigger Point Massage. A massage therapist who’s well versed in trigger point pain patterns will know what trigger points are causing your pain. For example, if you have pain at the back of your knee when descending into the bottom of a squat, this is often caused by trigger points in the biceps femoris muscle of your hamstring halfway up your thigh. The therapist will use pressure with massage tools, hands, or elbows to press, stretch, and release these tight tissues. This both increases blood flow to the area and reduces tenderness. The good news is that with just a few basic tools like a knobler or Thera Cane, you can reach almost all the common trigger points in your body. You can perform this kind of massage at home once you know how to do it and where your trigger points are. Two good resources are The Trigger Point Therapy Workbook by Clair Davies and the YouTube video series by Gary Crowley. Joints are acted upon by muscles, and they rely on muscles to give them stability and strength. For example, your shoulder joint is very shallow. It requires your rotator cuff, lats, biceps, triceps, rhomboids, and many more muscles to have full stability and flexibility. Any dysfunction means pain and/or greater risk of injury. In some cases, your brain may send too little signal to certain muscles. These muscles will then be unable to activate, leading to decreased joint stability and strength no matter how much you train them. On the other hand, your brain may send too much signal to other muscles. These muscles will seem tight and inflexible no matter how much you stretch them or mobilize the joints around them. Either too much or too little signal is bad and can lead to joint pain. Trigenics and MAT can help. Trigenics. This is a method which uses movement, special breathing techniques, and precise tension applied to the affected muscle, all at the same time. These three stimuli work together to create the correct level of communication between your nervous system and your muscle. A good Trigenics practitioner will first begin with comprehensive muscle strength and flexibility testing. This will reveal exactly which muscles are overactive (tight) and which ones are underactive (weak). After that he or she will work on each problematic muscle one by one to reset it back to its normal strength and length. This process takes only minutes and usually has a very good outcome. Muscle Activation Technique (MAT). MAT uses similar muscle testing and flexibility assessments to determine which muscles are weak or tight. To reactivate muscles, a MAT practitioner will use pressure on the tendons of the muscle along with isometric exercises to help your brain communicate effectively with the muscle again. For MAT and Trigenics, once they bring muscular length and strength back to normal, joint pain often goes away. This is often caused by a traumatic event, such as a fall, a punch, or a car accident. You’ll notice that the pain or misalignment was directly caused by the traumatic event. Chiropractic. The best method for these situations is a good chiropractic adjustment. A good chiropractor will fix this in one or two adjustment sessions. A popped rib or out-of-place vertebra can easily be popped back in place. Posture is something that lifters don’t take seriously enough. Aim for perfect posture. That means no tilting from side to side with one shoulder or hip higher than the other. No leaning front to back with the head and shoulders either too far forward or back. And no twisting at the shoulders or hips with one shoulder or buttock further forward than the other. If you have imbalances while simply standing upright, you don’t bear weight efficiently. Your muscles will be under increased tension and your joints will wear out unevenly. And imagine how much more stress will be on each joint when you’re running, jumping, or putting hundreds of pounds on your back. Any alignment problem will be greatly magnified. Finally, imagine how all this non-stop, unbalanced loading will add up to far greater injury risk over the 60 or more years you expect to be alive. The pain and injury associated with these postural issues starts to show up as lifters reach their late twenties or early thirties. Static Stretching and Massage. Static stretching and massage of all kinds are the temporary, stopgap measures for posture-related pain. Yes, static stretching has been poo-pooed in recent times, but there really isn’t much else that can change tissue length over time. While there’s no magic in static stretching, it can be helpful to have a systematic way of going through your body parts one by one. The most systematic process of stretching is the “Stretch to Win” method. Google Chris and Ann Frederick. Their system includes a flexibility and posture assessment and a set of stretches for each problem area you find. The system also uses mild joint traction and relaxation breathing techniques to increase the effectiveness of the stretches. Massage techniques like rolfing and shiatsu also can help tight tissues relax more easily. Posturology. I’m troubled when I see articles claiming that posture can be totally corrected by stretching or massage. I’ve never seen this happen in thousands of real-life cases. After all, your posture is the alignment of your bones. Bones are acted on by muscles, and the ultimate control center of the muscles is your brain. No technique addresses the brain control part of posture… except for one. That’s where Posturology comes in. It’s the only method that corrects the sensors that feed your brain information. Here’s how it works: Since the brain controls your posture, it needs to know what perfect posture is. To do this, it needs to get info from the sensory system. The eyes, skin, feet, and jaw all feed information to the subconscious part of the brain where posture is controlled. The brain takes this information and then translates it into signals to the postural muscles. These are usually the deeper muscles like the psoas and rotator cuff. If the sensory information is wrong, then the brain will send wrong signals to the muscles, and that means your posture will be imperfect. A Posturology assessment checks for alignment problems at the shoulder, back, and hip. Then the therapist will check your eyes, feet, jaw, and skin for anything that disrupts your posture. Examples of posture disruptors are old scars from surgery, excessive metal fillings in your teeth, and uneven tracking between your left and right eyes. As a quick example, try this test to see if your eyes give balanced info to your brain. Hold a pen vertically with the tip at the level of your eyes and the body of the pen touching your nose. Start out looking far away for a few seconds. Then quickly try to focus on the tip of the pen. Have someone take a picture of your eyes as you focus on the tip. Do they look more like photo 1 or photo 2? In the first photo you’ll see poor eye tracking with one eye turned in, while the other is not able to do so. This client has severe scoliosis and other posture problems. In the second photo you’ll see good eye tracking, with both eyes turned in equally. These are my eyes after a few months of training. I was not able to do this previously. In almost all cases, you’ll find improved alignment and balance within the first session. You’ll almost certainly notice improved strength and flexibility as well. However, keeping your new postural alignment permanent will take several visits over the course of about a year. In addition, most people will need to do a few minutes of eye exercises every day, along with wearing special insoles designed to stimulate the muscles of your feet correctly. Which Method Should I Try First? While everybody is different, I suggest the Posturology assessment first. Perfect posture is a “force multiplier” which makes all other treatments more effective. For injury prevention – Top priority would be to get your Posturology assessment done. If you have multiple sensors (skin, eyes, jaw, or feet) out of alignment, it’s only a matter of time before injuries hit. Next, learn about trigger points and start working on them consistently using the tips in the video series and book that I suggested. Go for soft tissue treatments every month or so (more frequently if you can afford it) to make sure tissues are in tip-top shape. Finally, add static stretching daily using the Stretch to Win method. For injury recovery – The Posturology assessment remains the top priority since an aligned body has better muscle function which stabilizes joints. It also ensures that you’ll heal straight. Also get Trigenics or MAT treatment for muscles that remain switched off. After that, continue with soft tissue treatment, stretching and trigger point work. Doing any single one of the things listed above will be beneficial, but if you have issues that just won’t go away, give the steps outlined here a try.